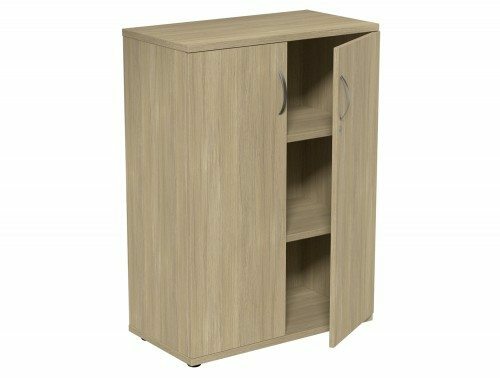 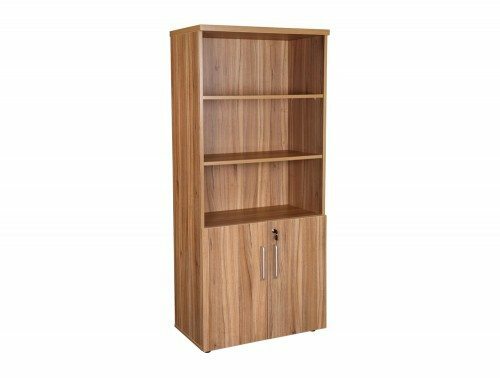 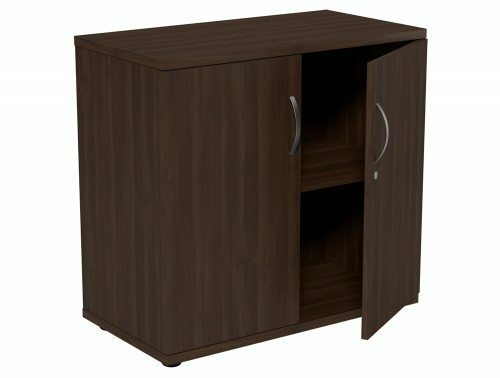 Wooden office cupboards are a perennially popular form of storage units, they are stylish and professional-looking, whilst still offering durability and practicality. 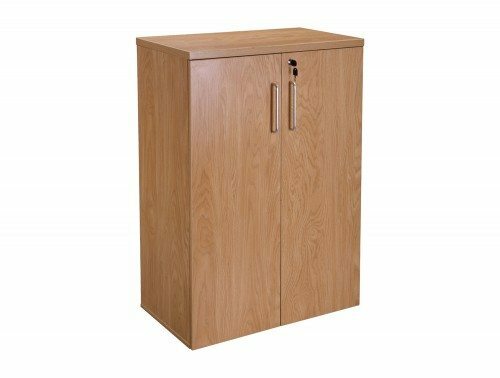 Our wooden cupboards are designed to help you maximise the potential of your workspace, creating practical areas where you can organise files, folders and equipment, and help keep your office neat and tidy. 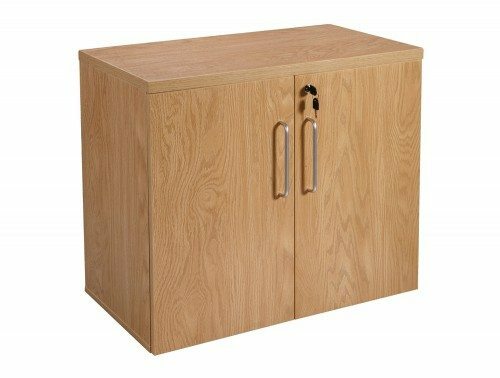 We have a selection of large wooden storage cupboards in our collection. 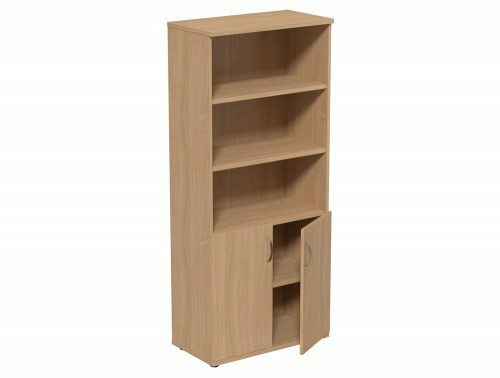 These cupboards can come with four or five shelves and are perfect for offices that have lots of files and items that need to be stored. The small cupboards on offer are perfect for small offices that lack in space. 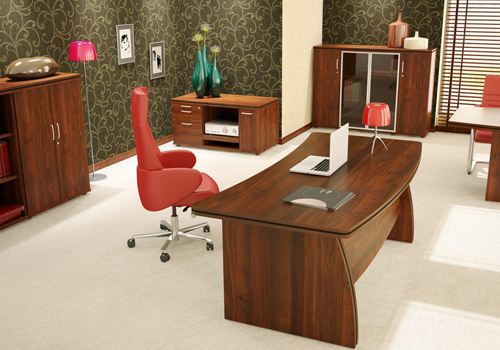 The cupboards can be desk high to easily incorporate with your existing furniture. For more space saving solutions, you can get a small cupboard with sliding doors, taking up less opening space. 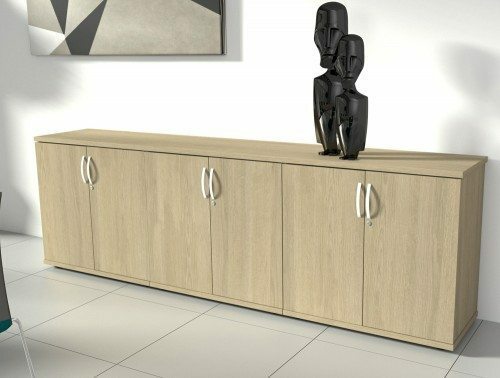 The credenza storage unit gives a more modern and stylish look to any office, with a choice of high gloss top in black or white, perfect for any modern offices. 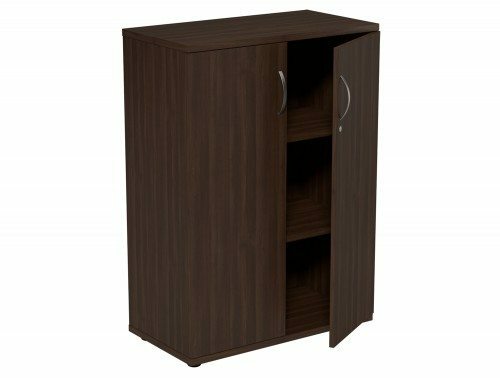 Our part open range of wood cabinets are the ideal choice for those who wish to have easy access to some items and wish to store more confidential and important items in a lockable storage compartment. 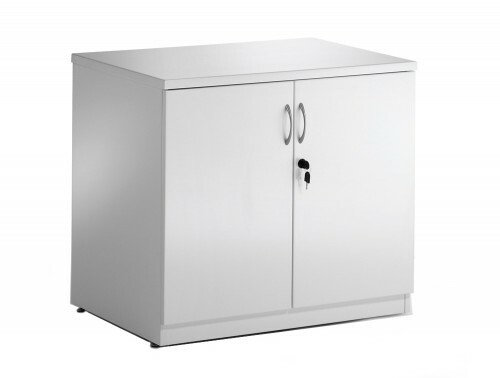 The open and lockable design gives you the best of both worlds, offering easy access as well as privacy and security. Furthermore, our range of wooden cupboards for sale are offered with floor levellers. 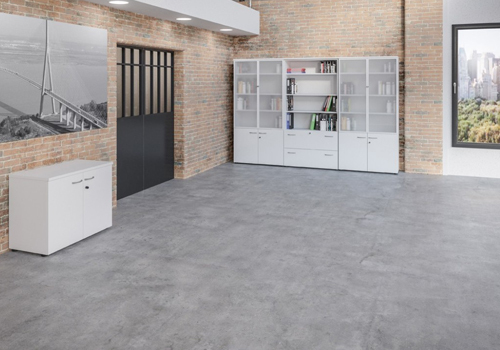 These are an easy solution for those workspaces that have uneven flooring. 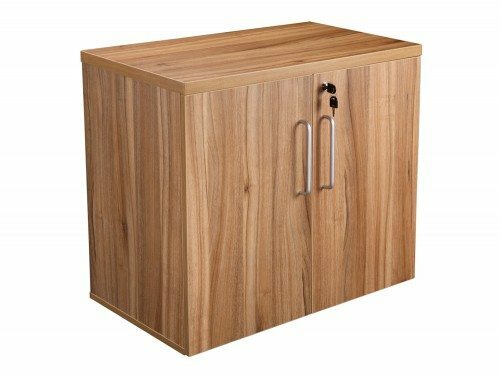 This handy mechanism allows you to position your wooden storage unit without running the risk of it wobbling and losing balance. These floor levellers create a perfectly flat positioning, making your wood cabinets as balanced and sturdy as possible. 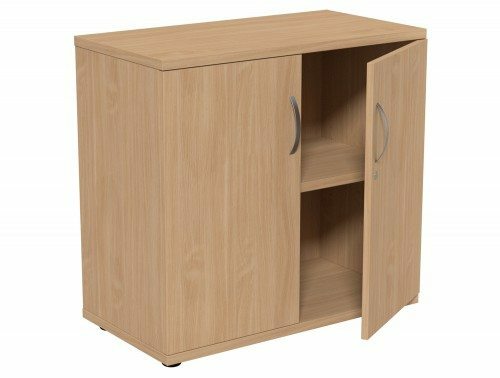 When it comes to prices, we at Radius Office Furniture understand that there may be a budget in place, that is why we offer a large selection of wooden office cupboards to suit your price range. 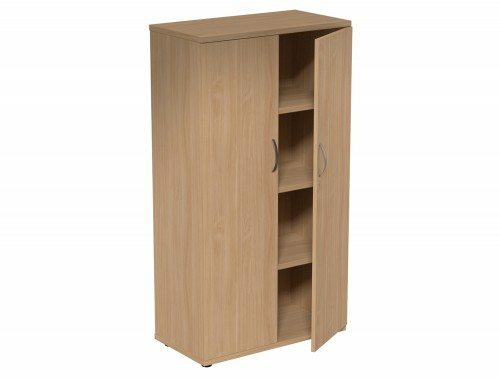 For a more affordable option, we have a selection of used wooden office cupboards for sale and alongside this, we also offer more high-end wood filing cabinets with some extra features. 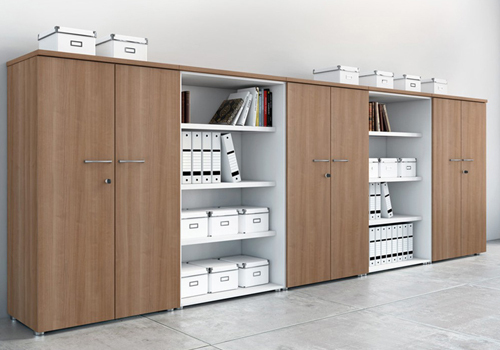 Whatever type of storage you are looking for to help de-clutter your office space, you can be sure to find it in our extensive range online. 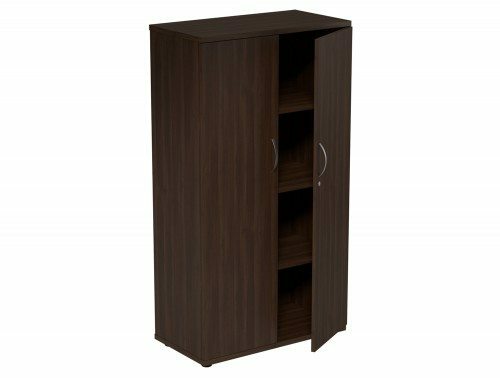 If you’d like to find out more about our range of Wooden Cupboards or discuss your requirements, simply request a callback.